If you’ve been to La Jolla Cove in southern California during the summer, you’ve probably heard about the leopard sharks! Swimming and snorkeling with these incredible creatures is a popular summertime activity with both locals and tourists alike. 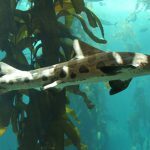 And while the word ‘shark’ may sound a little scary, leopard sharks are actually completely harmless to humans and offer a fun way to explore the underwater world off the shores of La Jolla. Here’s everything you need to know about leopard sharks! 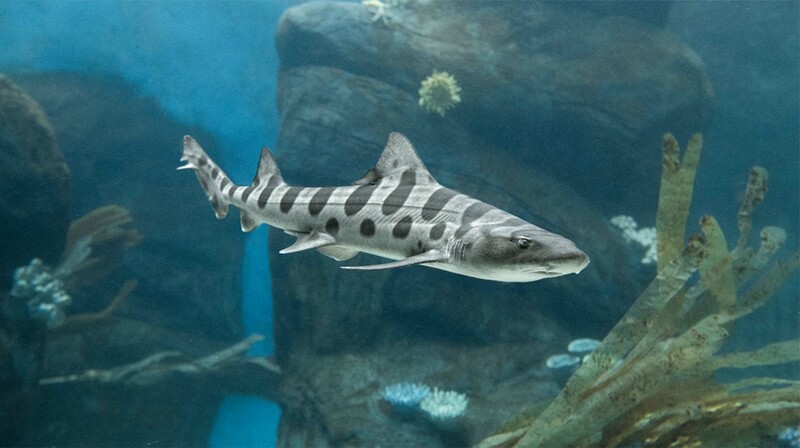 Leopard sharks (Triakis semifasciata) are a member of the Houndshark family and have quite distinctive features; including large dark spots and saddle type markings. The sharks have a broad, short snout, triangular pectoral fins, a short dorsal fin, and a notched, asymmetrical tailfin. On top they are usually a silver or bronzed-gray, fading to white underneath, with distinct dark spots and blotches on its back, sides, and pectoral fins. They can live up to 30 years, and take more than a decade to reach maturity. They generally only grow to about four or five feet (in rare occasions they can reach up to seven feet) and the heaviest ever recorded weighed in at a whopping forty pounds. The leopard shark is found in continental waters, both nearshore and offshore, and their preference is for waters that are cool to warm in temperate or sandy/muddy bays or estuaries. 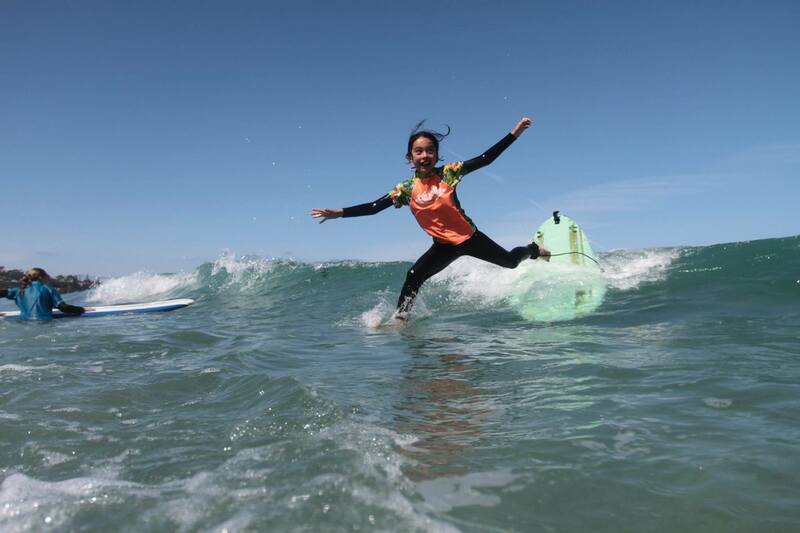 They love sand flats, mud flats, and rocky bottom areas near reef sites and kelp beds – which explains their love of La Jolla! The sharks are usually found near the bottom of shallow water, and they are exceptionally strong swimmers. Oftentimes, they are joined in a school of others that include the Smooth-Hound, gray Smooth-Hound, or the Piked Dogfish. They’ve been found all across the Eastern North Pacific, from Oregon to the Gulf of California and Mexico. Leopard sharks are harmless to humans. 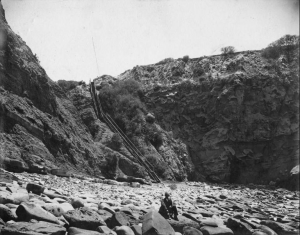 Only one attack has ever been recorded, and it happened in 1955 in Trinidad Bay, California. Fortunately, the diver was not seriously injured. The leopard shark has recently become a protected species in California and Oregon waters so that they are not overfished. Sports anglers, spearfishers, and small-scale commercial line fisheries are typically the ones who go after the shark. Female leopard sharks travel to La Jolla each summer to mate with males and spawn their young, which is why there is such a large influx of them at the beginning of summer (around June). Female leopard sharks have been observed giving birth in a variety of habitats along the California coastline from eel grass to sandbars and the open ocean. The leopard shark diet consists mostly of smaller shellfish; including clams, crabs, shrimp, squid, and fish eggs. The California Department of Fish and Wildlife closely manages the leopard shark fishery within state waters. Use of gill nets in waters typically inhabited by these sharks is prohibited. The recreational fishery for leopard sharks is open year-round and coast-wide to diverse and shore-based anglers. The fishery is open to boat-based anglers year-round in designated areas only. Outside these areas, it is open seasonally between January and June. The end of August and September are usually the best times to see La Jolla Leopard Sharks, as this is towards the end of the mating season and there are higher numbers of sharks. The ideal time to go is during the day, when there are calm waters and when it’s sunny (as they will be easier to spot). La Jolla Shores, where the water is warmer and shallower, is usually where snorkelers and swimmers venture out to see and swim with the leopard sharks. It’s easier for them to search for food in the sand and kelp forests, which are protected by the La Jolla Underwater Park Preserve. Their diet consists mostly of smaller shellfish; including clams, crabs, shrimp, squid, and fish eggs. 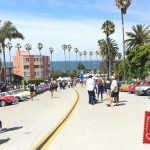 During peak season, you can simply swim out into the water at La Jolla Shores and see the leopard sharks – they will often be that close to shore. Wade out up to your knees or hips, and you’ll see them swimming around your feet (which is quite an experience!). There’s no reason to be scared of these little guys, as they are completely harmless to humans and won’t bite or bother you. Swim out by yourself at La Jolla Shores and simply watch them through the water, which is usually pretty clear. Snorkel the La Jolla shores to get a better look at the sharks through a snorkel mask; either with your own gear or a snorkel rental. If you don’t have your own gear, many companies will rent you gear for the entire day at one price: Everyday California and La Jolla Kayak are just a couple. 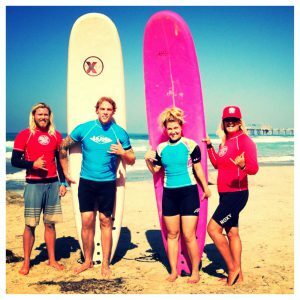 Take the guided snorkeling tours offered by the Birch Aquarium at Scripps in southern California. The tours are typically held from July through September, and these are a great option if you want to learn more about the sharks, as there is a trained naturalist guiding each tour. Intermediate swimming ability is required and previous snorkeling experience is recommended (ages 10+). Sometimes the leopard shark is referred to as a cat shark. They can form large schools that contain other types of sharks. They often rest on the ocean floor and pump water over their gills. The genus Triakis is derived from the Greek word “triakis” meaning three-pointed, referring to its three-pointed teeth. This shark species name semifasciata refers to its “half-banded” markings. In the San Francisco Bay, leopard sharks and piked dogfish have been observed engaging in a unique feeding strategy: the two sharks species will swim at the surface, with mouths open, in a counter-clockwise direction. At the same time, densely packed schools of anchovies are gathered at the surface and will swim in a clockwise direction. 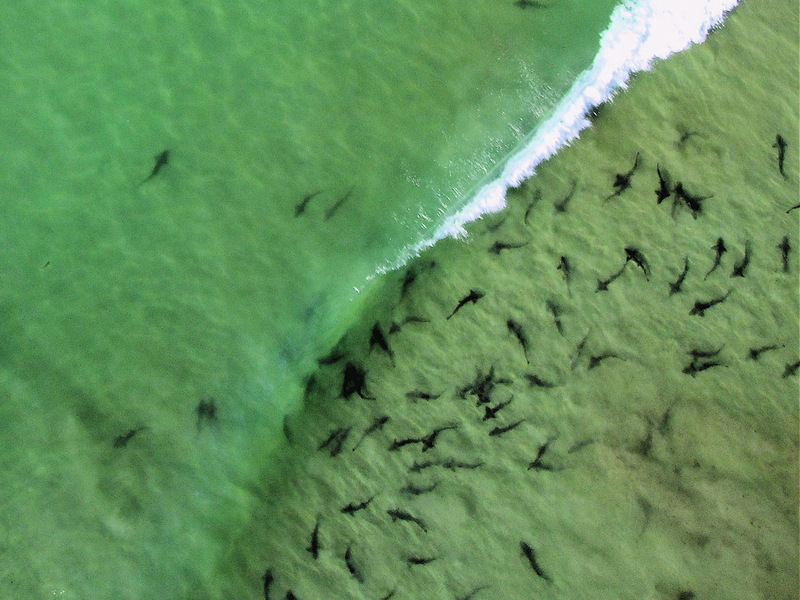 While the sharks don’t exhibit any specific hunting behavior or directed movements toward the oncoming anchovies, the sharks’ posture and movement does result in ingestion of incidental prey (i.e. anchovies) which inadvertently swim into the open maw of the prowling sharks. 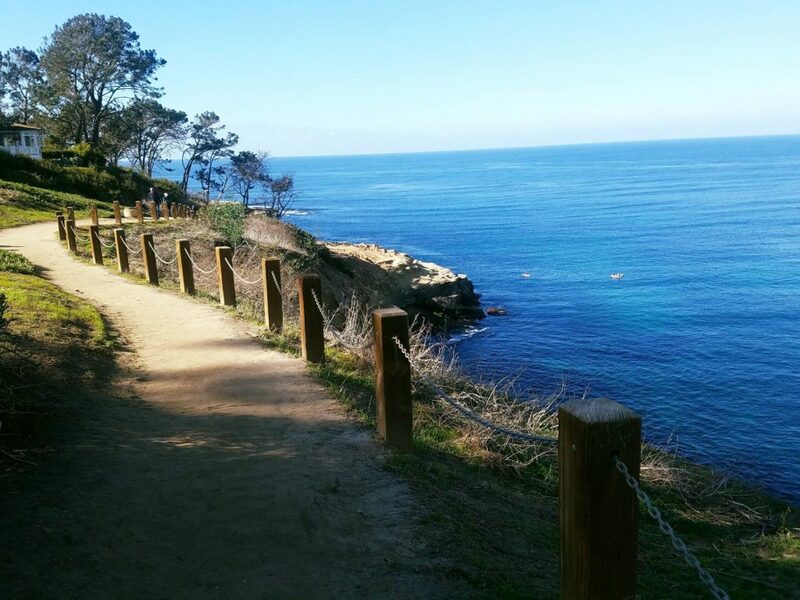 To learn more about activities and fun things to do at La Jolla Shores and La Jolla Cove, visit our guides section!